We love this place! Our 'go-to' spot in a neighborhood that's traditionally lacking in quality sushi. Great to eat at the restaurant, but their delivery is quick & reliable if you want delivery. Fish is always very fresh. Their garden salad comes with a unique dressing that we love, and the miso soup is very flavorful. They're very accommodating to amendments to rolls and orders. Took a little longer than expected, by I also had no phone service, so it was probably my fault. The food is awesome :) I got mixed teriyaki and a kappa roll, and it came with a small salad and miso soup. I had a tiny feast arrive. BTW best ginger dressing I have ever had! Been eating here for years and they never disappoint. Food is great and the staff are friendly and polite. The Maki Combo is tasty and at a good price point. My dinner was delivered 14 MINUTES after Id placed the order. Everything was fresh and delicious. Did I mention they brought the food in 14 minutes? I know we're not supposed to eat inexpensive sushi, but I only eat sashimi from this place. Always fresh firm good tasting fish. Nice delivery people. 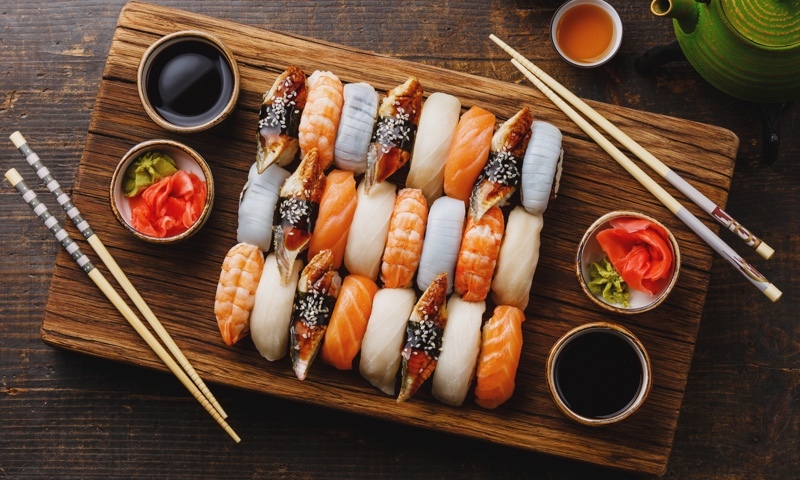 Whether you're craving a quick bite or looking to treat yourself to a delicious meal, you can now order your Sushi West favorites for takeout or delivery.